Are there any other products for Sisterlocks that I can use? This is a very common question that I receive from my clients and online community about Sisterlocks. It’s ironic that the gift and curse of Sisterlocks is the usage (or lack thereof) of products. However, I completely understand how being tied solely to the Sisterlocks Getting Started shampoo is not always realistic or favorable. When I had my Sisterlocks, I definitely deviated from the recommendation of only using the Getting Started shampoo, and my experimentation with trial and error undoubtedly compromised my Sisterlocks. 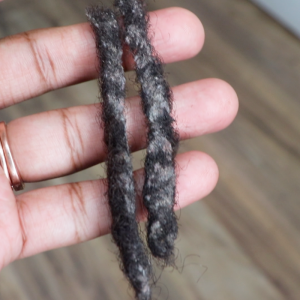 But what I ultimately discovered were a few of the best products for Sisterlocks, that would not only help my hair to lock but also ensure my scalp was healthy. 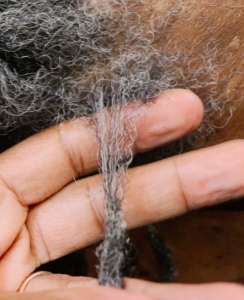 In a recent Facebook Live broadcast, I shared the Top 3 Products for Sisterlocks that help to soothe the scalp, alleviate itching, and thoroughly cleanse the scalp. 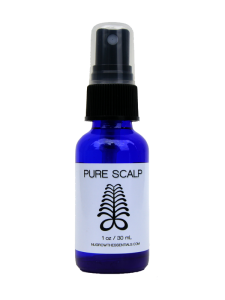 Pure Scalp Mist – This is a gentle moisturizer with astringent properties that helps to soothe itching, control flaking and/or dandruff and prevent dry scalp. This is safe to use immediately after installation and does not cause slippage because it does not contain any oils. 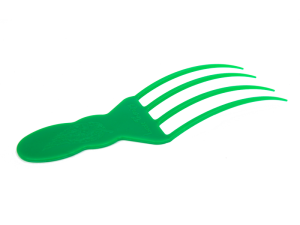 Scalp Revitalizer – This ergonomically designed comb drastically helps with the shampoo process of Sisterlocks. When shampooing your Sisterlocks in bundles, it can be difficult to really scratch the scalp without causing slippage, but the Scalp Revitalizer reaches underneath the base of the Sisterlocks without disrupting the locking process and allows for a nice scrub and a cleaner scalp. Herbal Cleanser Shampoo – A common complaint about the Sisterlocks Getting Started shampoo is that it doesn’t leave the hair feeling clean, especially if you workout often, but the Taliah Waajid Herbal Cleanse Shampoo works exactly like the Getting Started shampoo, but it leaves your scalp feeling clean. 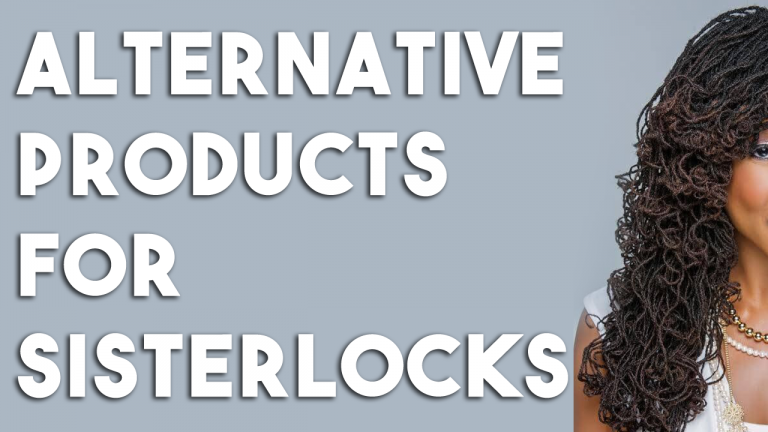 I personally and professionally recommend each of these products for Sisterlocks. You don’t have to suffer through dry scalp with Sisterlocks or constant itching when you’re using products that address your scalp health. 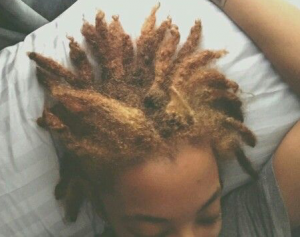 What Products Have You Tried On Your Sisterlocks? I have starter sisterlocks. Would Trader Joe’s Tea Tree Tingle shampoo.be acceptable to use instead of SL starter shampoo? I had my SL installed in March 2017 and I have a white film on my hair after using the starter shampoo. I have tried diluting it but it doesn’t help. I have been searching for an alternative on my own because my locktitian said that she wont recommend any other shampoo because I may experience slippage or extended time for my locks to mature. I’m very frustrated because I hate to wash my hair now. Most of the time I only wash my hair right before my retightening because I hate the white film. If you know of any alternatives please advise me. As mentioned in the article I only recommend the herbal cleanse shampoo as an alternative to the Sisterlocks shampoo. The issue you’re experiencing is because you’re not rinsing the shampoo out of your hair enough. You need to invest in a removable shower head that has a nozzle that increases water pressure.